Stunning paper bunting, including individual triangular flags and measuring 3.5 metres in length. Featuring a timeless colour scheme of white and silver, each flag has a pretty cut-out scalloped edge and an elegant central design. 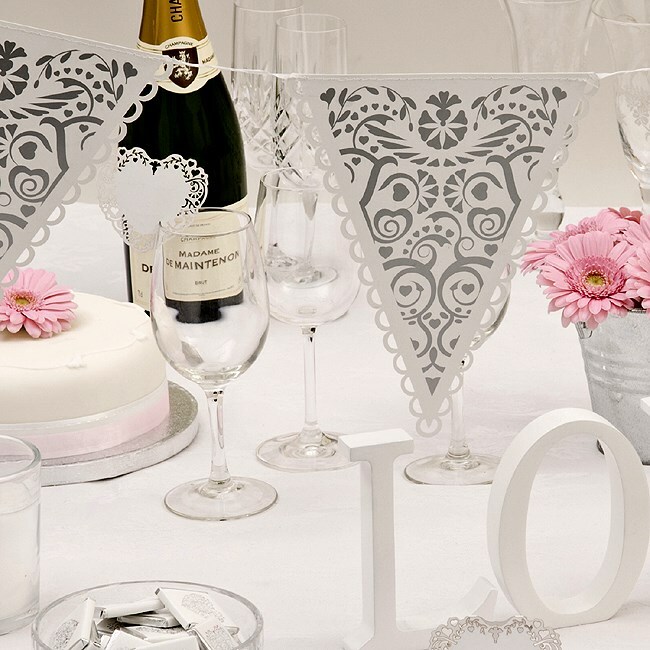 Suitable for both indoor and outdoor use, this bunting is part of the Vintage Romance range and makes a beautiful addition to your wedding venue décor.